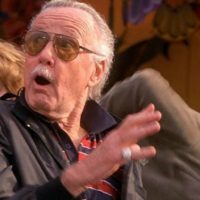 When you find yourself begrudgingly heading towards middle-age, pop culture starts passing you by with a swiftness that leaves you feeling alienated and frightened. Take Adventure Time, which I originally assumed that was something done in the privacy of one’s bedroom, but turned out to be a “thing” that everybody was referencing and quoting online. Pendleton Ward’s Cartoon Network series looked interesting enough that I ran a competition on this here site to find out what people’s favourite episodes were, and use that as a starting point. And it was funny. Very funny. Silly enough for children, surreal enough for adults. 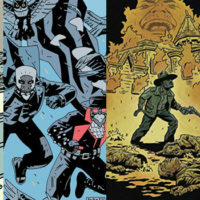 Anyway, on to the graphic novels, printed by Titan Books in the UK and published in the US by BOOM!’s Kaboom! imprint. 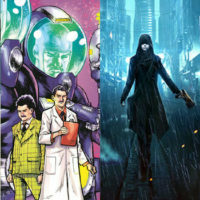 Whereas video game adaptations of popular franchises tend to remain in the same creative mire they’ve been stuck in since the dawn of home consoles, comic spin-offs are an overall more affectionate (if not always positive) affair. And while these trades are no substitute for the series, they are definitely worthwhile investments for fans of the show. Adventure Time (Vol. 2) sees boy Finn and his magical morphing dog Jake get hold of Princess Bubblegum’s time machine and travel into the future. It’s written by Ryan North (Dinosaur Comics), who uses wry comments at the bottom of each page to jab the reader with the comedy stick just that little bit harder. 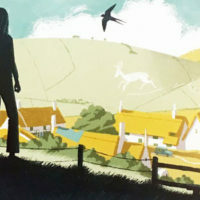 Shelli Paroline and Braden Lamb also capture the look of the show perfectly, and use the comic medium to depict some more detailed ideas than the animation might have permitted. 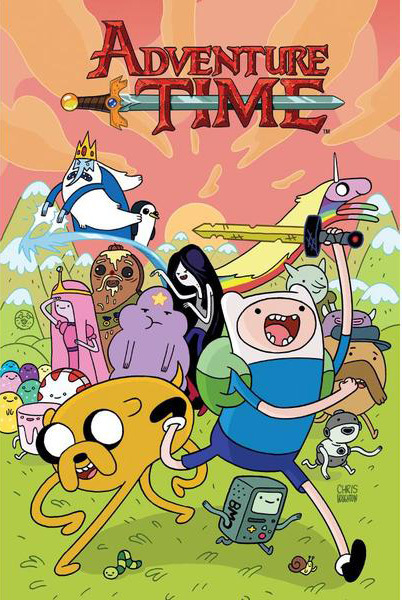 The same talents are also responsible for the oddly titled Mathematical Edition Volume One – named so due to the math terms Finn and Jake frequently use in place of catch-phrases and expletives – which sees skeletal nemesis The Lich returning to the Land of Ooo. Evidently published with the collector/enthusiast in mind, this hardback edition features both a “behind the scenes” section, and a cover gallery which reveals variations from a wide range of artists. I love seeing such distinctly simple character designs rendered in seemingly compatible art styles. 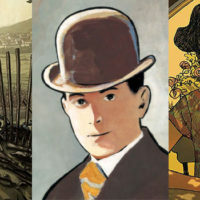 Adventure Time: Marceline and the Scream Queens was my favourite of the three, mostly due to Meredith Gran’s more idiosyncratic artwork, which sits somewhere between the source cartoon, a ’90s Klasky Csupo animation and a more rugged webcomic. 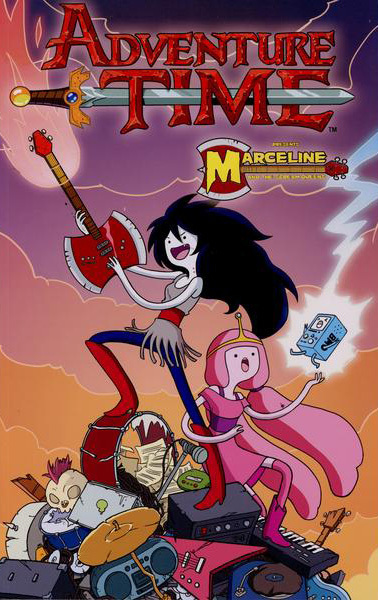 Marceline and the Scream Queens follows “the riot grrrl rock-fuelled excitement” of Marceline and Princess Bubblegum, as well as featuring seven sidestories by different artists. While this volume may lack North’s distinct wit, it’s still very true to the wacky tone of the Adventure Time cartoon, and Lisa Moore’s colour work is wonderful in its pinky purpleness. 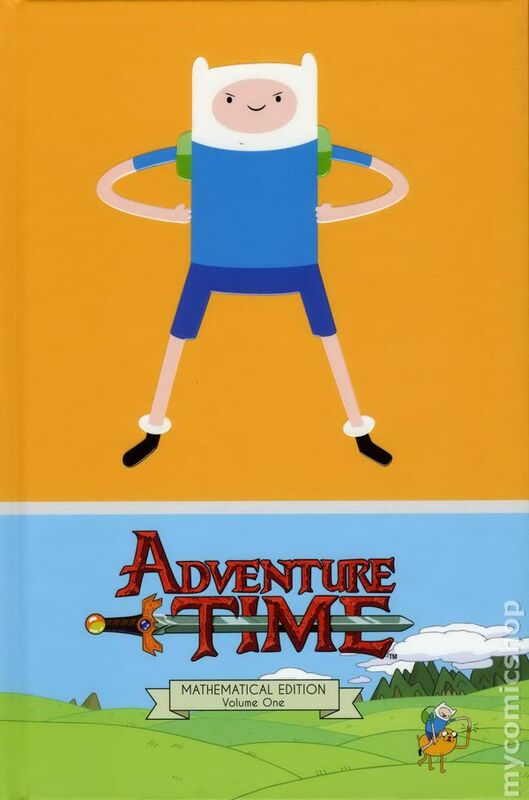 Adventure Time was clearly conceived as a cartoon, and though some of the show’s character is lost in translation here, these books certainly won’t disappoint fans who just need a bit more Jake the Dog in their lives.